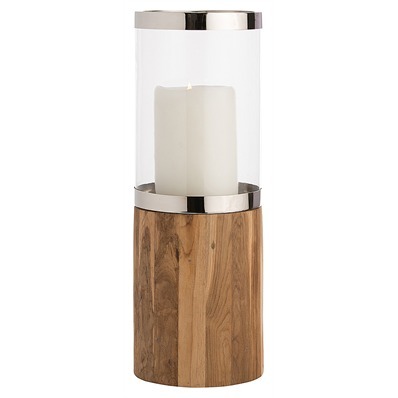 The mix of warm reclaimed teak wood and polished nickel finish brings a casual elegance to this candle holder, whether you order it alone or as a pair! SKU: 4157. Categories: Autumn, Décor. 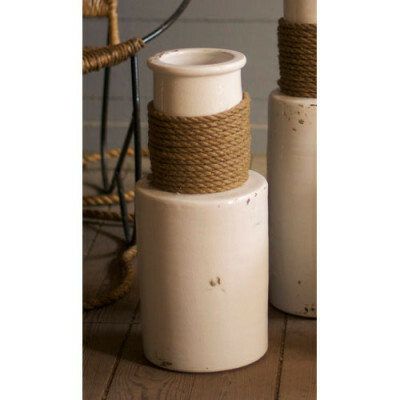 Fashioned from reclaimed teak wood & brimming with organic appeal, the Large Grady Hurricane Pillar will create a relaxed and welcoming ambiance to your home. The upper portion, where a single candle or several small ones sit on a steel plate, is encircle by clear glass, rimmed top and bottom by stainless steel. The mix of warm wood and polished nickel finish brings a casual elegance to this candle holder, whether you order it alone or as a pair. 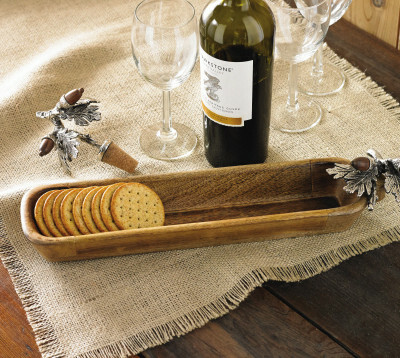 The beauty of natural teak wood shines with this candle holder.